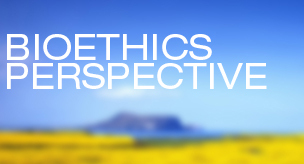 Guest Post Written By: Jennifer McCormick, Ph.D.
From a Bioethical standpoint, we need to examine what researchers should do, if anything, about these findings. Should they approach family members of the deceased research participant with this information? Is it legal? Is it ethical? As more and more genomic research is done using samples from biobanks, it is likely that researchers will be identifying potentially important genetic information about individuals who have deceased. Typically, if a researcher, a priori, decides to return genetic research findings to research participants, they are informed that in the future they could be contacted by the researcher and asked about their interest in learning about the research finding. The questions of how, when, and by whom to return genetic research findings that has been under discussion for a while, in this context, are now a little more complicated and are yet needing answers. The participant can then make the decision to share this with family members. If the genetic research finding is discovered after the participant has died, should the researcher just move on or reach out to the family of the deceased? If the researcher should contact the family – who in the family? What if the family member the researcher contacts had poor relationship with the deceased research participant? Would the research participant have wanted that information to be shared? One way to negotiate these questions is to ask the research participants if they would want any genetic research findings with potential clinical relevance to be shared with family members. There are still some legal issues to work through, as medical information is only accessibly, usually by state law, by the executor post mortem. Does this hold true for research findings? The law is unclear on this question at this time. One important element of this, in my opinion, is that the physicians often have a deeper, longer relationship with the deceased individual, while a researcher may have interacted with the individual once or twice. A simple solution to negotiate these questions is to ask the participants up front to identify whom they would want the researcher to contact with potentially clinically relevant information, should the participant no longer be alive. The dilemma with this approach is that the identified family may no longer be alive as well, or may be estranged from the now deceased participant. The Health Information Portability and Accountability Act (HIPAA) also complicates things. HIPAA provides rules for how personal health information is shared and with whom it can be shared. Because the information to be returned has potential clinical or health relevance, it is a little murky as to whether HIPAA applies or not. So the questions of how, when, and by whom to return genetic research findings that has been under discussion for a while, in this context, are now a little more complicated and are yet needing answers. Gloria Petersen (Mayo Clinic), Susan Wolf (University of Minnesota), and Barbara Koenig (UCSF) are a few of the increasing number of researchers who are examining these questions. They are focusing on participants in the pancreatic cancer registry and biobank that is part of the Mayo Clinic Pancreatic Cancer SPORE and their family members’ views about these questions through surveys and interviews.